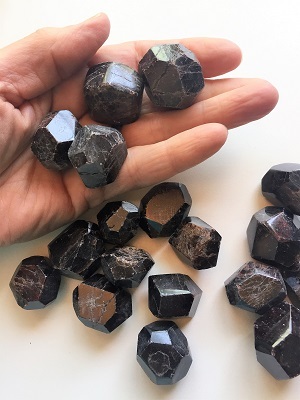 Gorgeous dark red faceted Garnet Crystal from India. Garnet is called a “stone of health" as it cleanses and re-energizes the chakras, revitalizes, purifies and balances energies. Red Garnet is attuned to the heart energy, revitalizes feelings, and enhances sexuality. Red Garnet stokes the passionate fire in ones life enhancing creativity, sexuality, and stimulates the rise of the kundalini energy. Red Garnet helps one to recognize individual responsibility with respect to personal freedom. Red Garnet dilutes the energy of anger and transforms, balances and empowers the second chakra with a positive flow of energy. Red Garnet helps to dissolve outworn patterns releasing resistance and self-sabotage behaviors that no longer serve ones highest good. 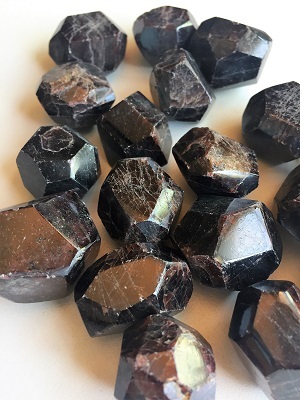 Red Garnet is also known as the “stone of commitment" as its loving vibrations reflect the attributes of devotion, warmth and understanding to self, to others, and to ones purpose in life. Garnets indicate loyalty, unchanging affection and grace. Red Garnet opens the heart and increases feelings of self-confidence. Red Garnet is a manifestation stone vibrating with the energy of prosperity and the enjoyment of worldly pleasures, creativity and LOVE. 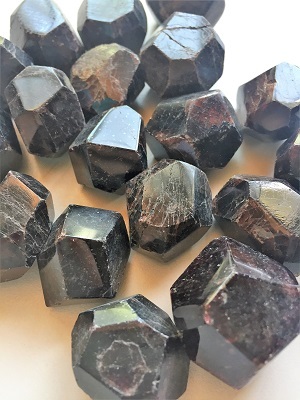 In healing, Red Garnet stimulates the metabolism, treats spinal and cellular disorders, purifies and re-energizes blood, heart, lungs, and regenerates DNA. Red Garnet also assists assimilation of vitamins and minerals. 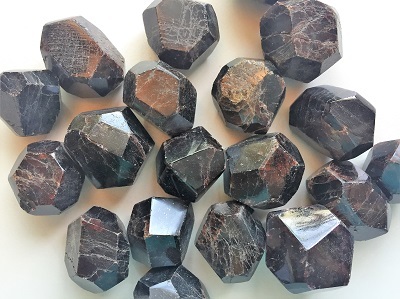 Red Garnet enhances fertility and aids assimilation of Vitamin A. Red Garnet is excellent for arthritis, rheumatism, fortifies the kidneys and beneficial for the mucus membranes and skin.